If you follow my writing, here or elsewhere, you know that Gilead Sciences is one of my favorite stocks in the biotech space, and for good reason. 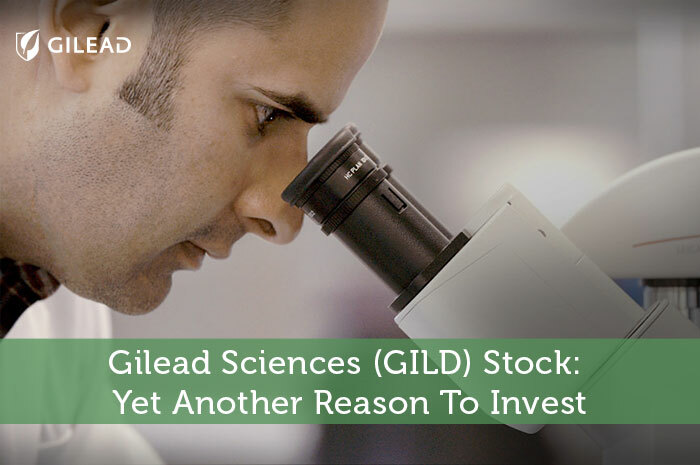 Gilead Sciences is arguably the most impressive company in biotechnology. Throughout the years, the company has taken complete control of the HCV market and taken on the role as major player in other markets. Now, there’s another reason to invest in GILD. The company’s experimental HIV treatment has been approved. Today, we’ll talk about the newly approved treatment, what it means for GILD and what we can expect to see from the stock moving forward. Gilead Sciences recently announced that it has received FDA approval for its HIV drug known as Genvoya. Genvoya is the first tenofoviralafenamide-based HIV drug. The drug is a single tablet regimen that includes TAF, Vitekta, Tybost and Emtriva. The new treatment was approved for adult and pediatric patients over the age of 12 years old for the treatment of HIV-1 infections. While the treatment was approved, it will also carry a boxed warning with regard to the risk of lactic acidosis/severe hepatomegaly with steatosis, and post-treatment acute exacerbation of hepatitis B. This is incredibly big news for Gilead Sciences. First and foremost, it gives the company another leg in with regard to treating life threatening illnesses. Knowing what the company has done with its HCV franchise, I would expect that it would do incredibly well with its new HIV drug as well. Also, this plays into the future of GILD. One of the bigger concerns for investors has been the idea that the company’s HCV franchise is going to start noticing declines in sales as more and more competition enters the market. So, investors have been waiting for the company to branch out into the treatment of other ailments. The approval of Gilead Sciences’ HIV treatment allows the company to do just that. Genvoya – First and foremost, to stay on topic, Genvoya is a great thing for Gilead Sciences. The approval of the treatment means that the company is now going to be looking to commercialize, which will lead to sales, larger revenues and ultimately larger earnings for investors. HCV – Outside of Genvoya, the HCV franchise is alive and well. While investors may have been concerned with the company’s ability to continue growth with regard to the franchise, every earnings report proves that GILD isn’t losing ground on HCV any time soon! Valuation – Finally, GILD has an incredibly low valuation, making it a perfect stock to get into for the long run. Currently, the company is trading at below 10 times earnings. In the industry, a strong company like GILD should trade around 16 or 17 times earnings. However, fears with regard to HCV competition have kept the stock down. Over time, as GILD continues to report solid earnings, these fears will go away and so too will the incredibly low valuation on the stock. So, if you’re considering getting in on the growth, you may want to do it soon. Disclaimer – The author has no positions in any stock mentioned nor plans to open positions within the next 72 hours.